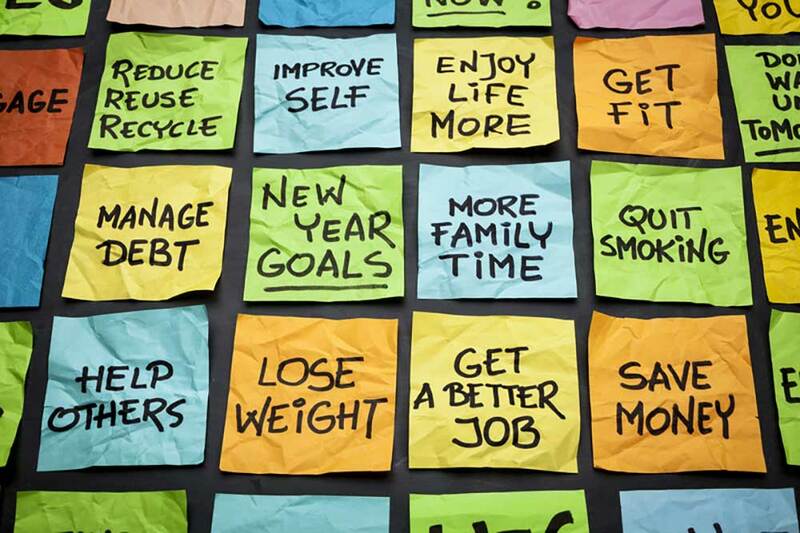 New Years resolutions can work when you properly plan them. In my last post we took a look at three ways you can improve your chances of keeping your New Year’s resolutions. Those alone can bring you real success, but the best is still ahead. It’s time now to get really, really specific… and successful! Can you really give up chocolate for a year? Can you actually stop smoking? Forever??? One of the things holding us back from making our biggest changes is the thought that “I’ll never be able to stick to it and I don’t want to set myself up for failure.” Fair deal. Some challenges are particular hard, and we each have our own areas of personal battle. Chances are good you can instantly think of one or two things you’d most like to change about yourself, but don’t think you could make the change stick. For those, how about a New Month’s resolution, or even a New Day’s resolution? Maybe you don’t think you could give up all sweets for a year, but do you realistically think you could do it for at least a month, or even just for today? Getting a small success can often help build confidence, allowing us to try it again the next day or month, and eventually even stretch it out to a year or lifetime. For some people and companies, this one can make a huge difference. We are not all blessed with people around us who believe in or support our best efforts. Your family or co-workers may even scoff at your efforts to improve. A negative environment always makes change so much harder. Don’t give up. Consider hiring a coach or consultant to get you through the tough times. If you or your team have goals in the areas of communications or training, talk to me! Or, if you’re looking for a personal trainer to help you with your fitness goals, I can recommend someone who has been getting great results with her clients. There are also endless resources online, whether it’s to just formalize a to-do list or actually build a team to support you. Websites such as Day Zero and Habitforge along with oodles of other websites and apps not only increase your chances of success, but also allow you to lend your support to other people on their own journeys. We often hear about the downside of people spending time online or on their smartphones. Here’s your chance to prove that there is an upside too! Sometimes, despite our best efforts, things just don’t go the way we want. If you find yourself with flagging resolve or even broken commitments, don’t throw in the towel! There is still much you can do to come out victorious at the end. I’ll say more about this in an upcoming post, but for now, if you do find yourself slipping, just give yourself room to pick up and start again. Remind yourself that falling off the horse is always the first step in getting back on. You got this! If you’ve been smoking a pack a day for years, much better to get to the end of this year and proudly say you only had ten cigarettes all year, than to say you tried again but never even got through a month (or day) before you went back to smoking. Just because you slipped once or twice or ten times does not mean you can’t do this. It just means it’s hard. You have a chance to start again. Take it! Do any of these tips sounds like they can help you? What are your goals for the coming year or month or day? What has been your New Year’s resolution experience? Please leave your comments below. And in all your efforts to change, best wishes! Honestly, I am currently at the point of feeling like I am failing my New Year’s Resolution. Good thing I came across this post. Haha! I am positive about it; I know it is still early to give up. I will be applying this. Will keep you posted. Thanks for your comment, Natalie. It has been a few weeks since you dropped in. How are things coming along with that New Year’s Resolution? Hang in there and keep on believing. You’ll get it done!